City of Mill Valley Senior Planner Danielle Staude and County of Marin Sustainability Planner Dana Armanino. Want to save green by going green, and get applauded for doing so? 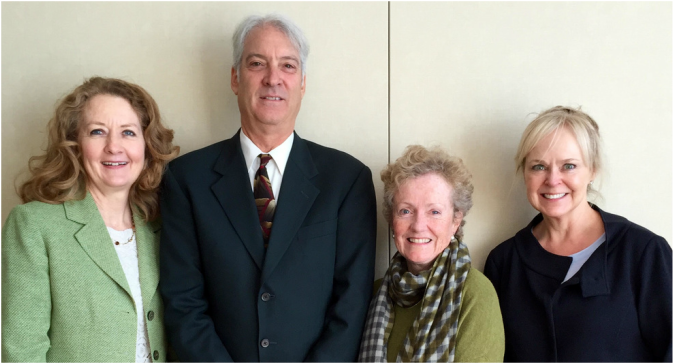 That was the pitch from officials from the County of Marin and the City of Mill Valley at a March 21st business seminar on sustainability, the latest in the Biz Essentials Series from the Mill Valley, San Rafael and Tiburon chambers of commerce, at the Acqua Hotel. County Sustainability Planner Dana Armanino guided attendees through the California Green Business Program, which has recognized nearly 400 businesses in Marin since its launch in 2002. 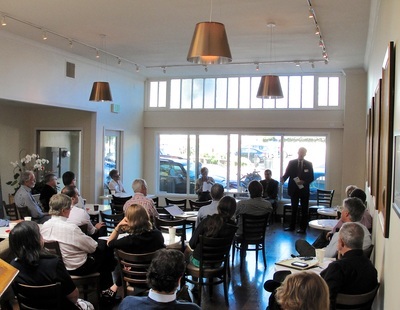 There are 51 Mill Valley businesses certified under the program, including stalwarts like Acqua Hotel, Goodman Building Supply, Bank of Marin, Body Kinetics, Grilly's, Mill Valley Car Wash, the Mill Valley Chamber of Commerce & Visitor Center, Mill Valley Inn, Mill Valley Market, Mountain Home Inn, Proof Lab and WIGT Printing, among others. Those business have garnered recognition for demonstrating their "continuous compliance with applicable environmental regulations, conserve energy, water, and other materials, implement sound environmental practices that prevent pollution and waste generation, and share environmentally responsible practices with other businesses in our community." 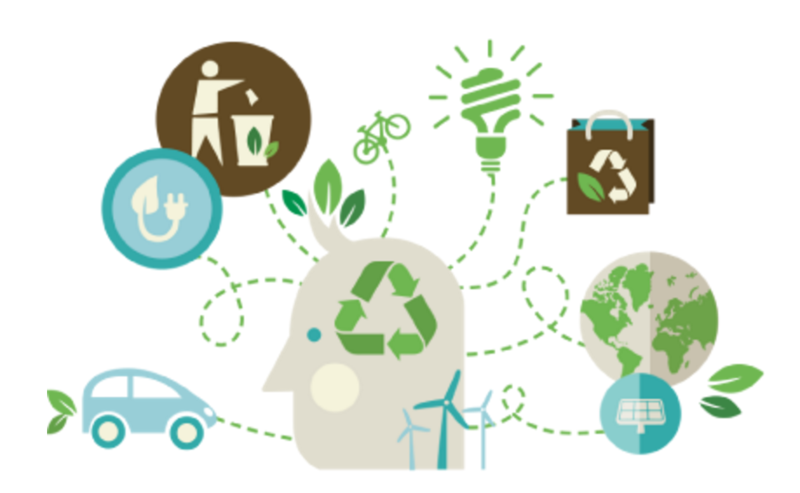 The Green Business Program launched in Alameda and Contra Costa counties in 1996 with a specific focus on improving the waste reduction among the printing and auto repair businesses in those counties, and later expanded to all industries, including home-based businesses. To garner certification, business owners must complete an application that contains 53 measures, some of which are required, including the use of energy efficient lighting and recycled paper. The online checklist lives here. Just as importantly as the recognition gained from green business certification, businesses can gain access to money-saving opportunities to upgrade their buildings to be more energy-efficient, including cash rebates to help defray the cost of installing energy-efficient lighting, refrigeration products and HVAC measures. The SmartLights program, for instance, is administered locally through the County, PG&E and MCE Clean Energy, providing business owners no-obligation, no-cost assessments of their lighting infrastructure, with approved contractors on hand to do the work if you want. Most importantly, rebates are available, and SmartLights “pays the rebate directly to the contractor so you don’t have to pay for it first and wait for the rebate,” she said, noting that most of the projects pay for themselves in less than three years. There are also water conservation resources, transportation resources, waste reduction resources and renewable energy resources (see below for links). City of Mill Valley Senior Planner Danielle Staude noted that the City and County have set aggressive waste reduction goals of between 15-25 percent by 2025 under the Zero Waste Marin banner. 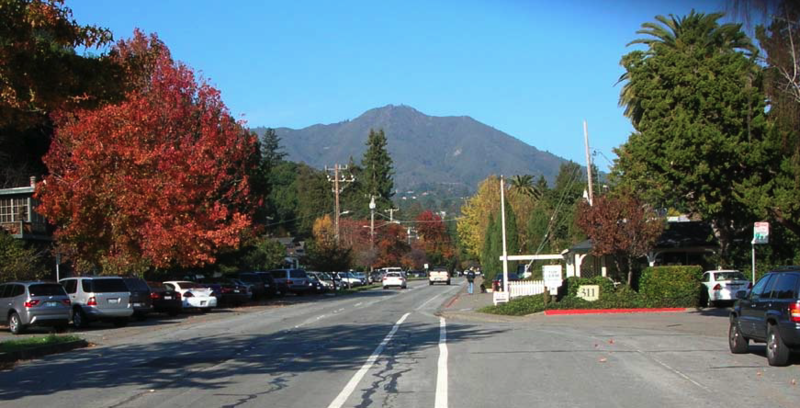 Mill Valley has targeted 15 percent reduction by 2020, and had achieved a 4 percent gain by 2010, primarily through energy efficiency and use of hybrid cars. The City is also part of the Marin Climate and Energy Partnership, which is tracking a wide range of sustainability efforts, including energy, transportation, waste and water. Michele Hassid, Ron Moss and Janina Thomas from Eckhoff and Company. Photo by Carolyn Kohler. “That’s one tax reduction strategy – but not one that we would recommend,” said Michele Hassid, Managing Partner at Eckhoff and Company, at the outset of “Strategies for Tax Reduction” on January 25, the latest in the Biz Essentials Series from the Mill Valley, San Rafael and Tiburon chambers of commerce. What Hassid and her colleagues Janina Thomas and Ron Moss did recommend was to get help from the experts, and come up with a long-term plan. Thomas guided the more than a dozen attendees at the seminar, set in the Acqua Hotel, through a summary of the Internal Revenue Service’s tangible property regulations, which went into effect in late 2013 and clarified longstanding and oft-conflicting case law around whether expenses related to buying property – that is, anything from computers and equipment to buildings and land – should be deductible business expenses or non-deductible capital expenses. The updated regulations allow business owners to expense any “unit of property” – for instance, by definition all of the components of a computer are one unit, and each of the systems (electrical, plumbing, etc.) of a building are part of that building – valued at less than $500, while everything $500 and above would be a capitalized expense. Restore a unit of property to like-new condition after it has deteriorated to a state of disrepair at which it is no longer functional. Managing your taxes around equipment upgrades is essentially flipping a coin between having less taxable income and thus less tax today versus having more taxable income and more tax tomorrow, Thomas said. “It’s given us many opportunities for planning but we want to be careful that taking it all up front isn’t always the best answer,” Thomas said. The overarching key, she emphasized, is that every business must establish a policy, and must remain consistent to that policy in terms of how they handle units of property. Moss also emphasized the fluid nature of tax regulations in an election year, noting the varied proposals from the likes of Donald Trump and Sen. Bernie Sanders. “A lot could change,” said. “Hopefuly no one here still thinks they can do all this without a CPA,” Hassid said. More info on Eckoff and Company. There simply aren't many better places to throw a party than Henrybuilt. The custom kitchen system showroom at 356 Miller Ave. provided a gorgeous backdrop for our first Mixer of 2016, a resounding way to kick off the New Year and the perfect compliment to the end of 2015, which we ended with bang by gathering nearly 140 of our Members and friends at the Outdoor Art Club for a fantastic Holiday Mixer. Thanks to Janet Hall at Henrybuilt for being such an amazing hostess, to Jim Revoir and his team at Grilly's for providing such delicious food, and to all those who donated great raffle prizes, including Strawberry Village Dental Care, Juice Girl, Body Kinetics & Spa, Teresa's Nails and Patti's Baskets. 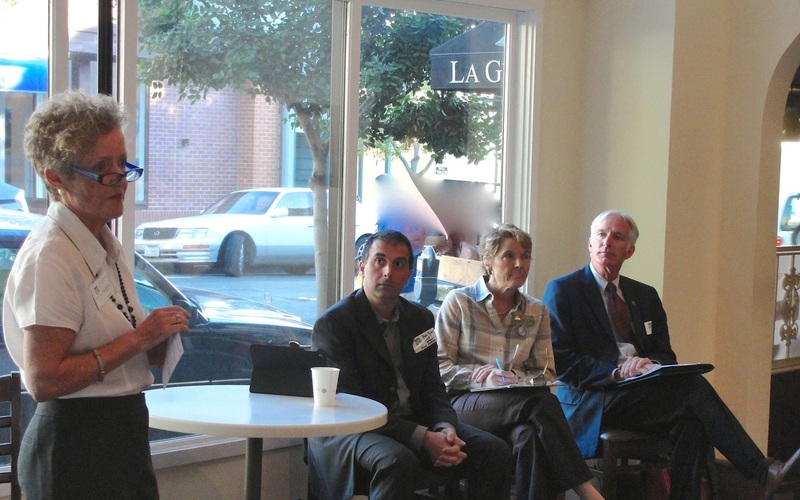 The Mill Valley Chamber of Commerce convened a meeting of City of Mill Valley officials and local restaurant and commercial property owners last week in an effort to address concerns about steep hikes in sewer fees in recent years, hikes that some said place an unfair burden on local restaurants. Walsh’s family owns the Bungalow 44 building as well as the L-shaped building that wraps around it on Sunnyside and East Blithedale avenues, containing both Kitchen Sunnyside and Pearl’s Phat Burgers. Representatives from both La Ginestra and The Cantina also attended the meeting, and several more restaurant owners expressed concern about sewer fees but were unable to attend. The issue stems from the City Council’s approval in 2011 of sewer rate hikes for six years, with City officials citing rising costs from the Sewerage Agency of Southern Marin (SASM), the joint powers agency that collects and treats wastewater for approximately 28,000 residents in Mill Valley and five neighboring sanitary districts. The City’s rate structure at that time was among the lowest in Marin County. Bungalow 44’s Peter Schumacher said the City’s shift hadn’t taken into consideration two factors: 1) that restaurants have gotten decidedly more efficient with their discharge via things like composting, highly efficient dishwashing machines and the use of grease traps and 2) that restaurants serve thousands of meals per week, thus vastly reducing the amount of discharge from homes throughout Mill Valley. City Manager Jim McCann said that while the fee hikes were designed to generate enough revenue to upgrade a sewer system that badly needs it, the City was open to discussing possible adjustments to the strength factor. City officials estimated that restaurants represented just 5 percent of the total sewer fee revenues, suggesting that potentially reducing the strength factor applied to the water discharged by restaurants might be possible without significantly impacting the revenue needed to continue sewer system improvements. The subject is expected to be considered by the Council in the coming months, McCann said. Now THAT Was a Holiday Party! Now THAT was a Holiday Party! 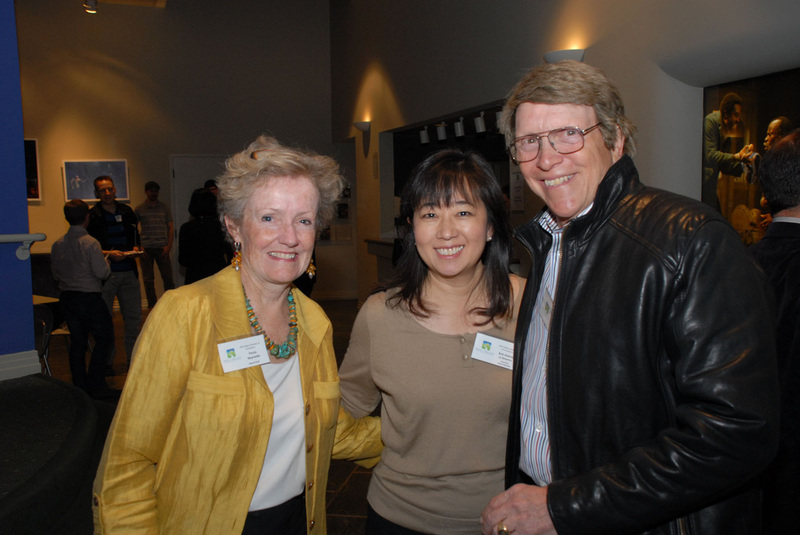 More than 120 people turned out for the Mill Valley Chamber of Commerce & Visitor Center's 2015 Holiday Party & Annual Meeting at the The Outdoor Art Club on Dec. 17, with food from Bungalow 44, wine donated by Sutton Suzuki Architects, a vintage cocktail bar from Katy Birds, live music from the Mill Valley Middle Bluegrass Club, and raffles prizes from a host of Chamber Members. Thanks to all of you who helped make it happen and all who came out for a wonderful, festive evening! And thank you to Gary Ferber for his fantastic photos of the evening, as usual! 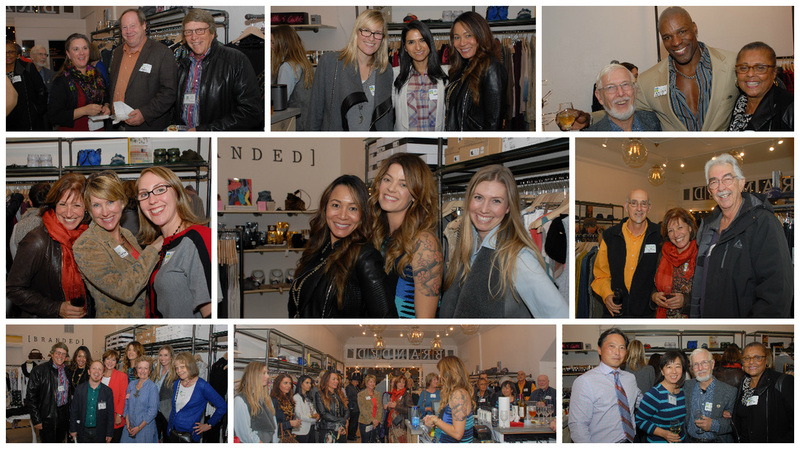 The arrival of the winter chill was no match for the Mill Valley Chamber of Commerce most fashion-forward Mixer in ages, as the fashionistas at Branded Boutique for a night of great food and drink, excellent company and amazing raffle prizes in a space steeped in Mill Valley history. 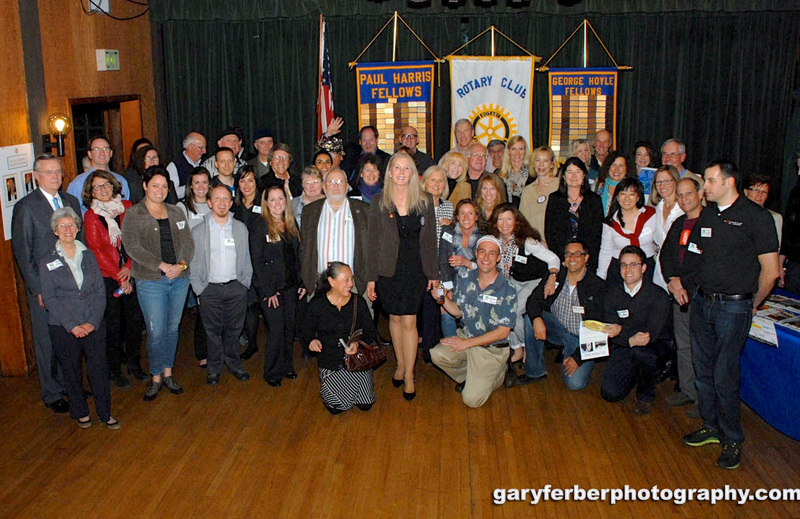 Go here for photos from the evening by Gary Ferber Photography, and don't miss our Holiday Mixer on Dec. 16 (5:30-7:30pm) at the The Outdoor Art Club, featuring live music from the Mill Valley Middle School Bluegrass Band, food from Bungalow 44 and wine donated by Sutton Suzuki Architects. Data Security: "It's the Wild, Wild West"
So said Kirk Hylan, president of InSite Networks, a San Rafael-based IT firm, in an information-laden and oft-jarring presentation about data security Nov. 16 to members of the Mill Valley, San Rafael and Tiburon chambers of commerce, as part of the trio’s "The Essentials" series for small business owners. From hacks of Donald Trump’s hotels and the data of 15 million T-Mobile customers to massive data breaches at the FBI and CIA, of all places, the headlines from October 2015 alone bore out Hylan’s assertion, as did his point that more than 95 percent of small businesses that suffer a “catastrophic loss of data” never recover and close their doors permanently. But while he admitted that the subject of data security incites malaise – "cancel all your appointments and go straight to the bar,” Hylan joked – he said small business owners can take a number of essential steps to significantly reduce their risk of catastrophic data loss. Maintain a backup device on your business’ network in the office. Maintain backups of all of your data off-site, preferable at a location far removed from your primary one, in case of an emergency like fire, an earthquake, or a theft. Rotate those off-site backups to dilute the risk factor. Maintaining a backup of all of your data “in the cloud,” a backup service that lives on the Internet. For those, “don’t be late on your payment to those services, or you will lose your data,” Hylan added. Most of these services charge based on the amount of data you are backing up, he said. Hylan recommended iBackup.com and said he’d steer away from Carbonite’s service. He added a few more tips: “don’t EVER email credit card info,” minimize online credit card payments, and don’t EVER use pet-based passwords. Hyland said the breadth and depth of the abilities of hacker groups should never be underestimated, citing the recent takedown of hundreds of ISIS-related Twitter and Instagram accounts by the group Anonymous. Four years ago, Ged Robertson bought Shoreline Coffee Shopfrom Tam Valley resident and longtime owner Santiago Ojeda. In doing so, he sought to be on the forefront of the revival of Tam Junction. He's done just that, along with other businesses like Proof Lab, Equator Coffees and Teas and Susie Turner'sGreen Door Design. And with Good Earth Natural Foodsmaking steady progress towards its planned February 2016 opening, Tam Junction is certainly on the rise. Mill Valley Chamber of Commerce members and friends celebrated that revival on Oct. 21, as Robertson's Shoreline hosted our Mixer.Thanks to our fantastic hosts, to Turner for her gorgeous decor and raffle prizes and to all who came out! And thanks as always to Gery Ferber for these great photos. A booming economy is always preferred to its antithesis, but good economic times often bring new problems, particularly when it comes to hiring, firing and everything in between. 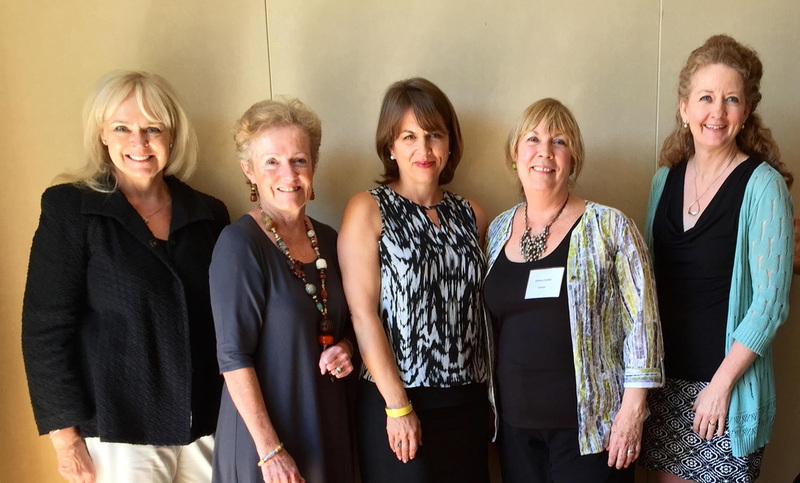 In an effort to help local businesses manage those issues, the Mill Valley, San Rafael and Tiburon Chambers of Commerce hosted “Staffing Up,” a seminar that drew on the expertise of employment law attorney Dolores Cordell and Debi Geller, an account executive with Nelson Staffing. The event served as the debut of a new series for small business owners from the three co-sponsoring chambers. Both Cordell and Geller urged employers to do as much documentation as possible throughout the process of hiring employees, managing their development and, in unfortunate cases, firing them. That includes clear job descriptions and applications, extensive use of time cards and creating paper trails for employee performance. “Document, document, document,” Cordell said. The pair covered a ton of ground in just 45 minutes, explaining the differences and pros and cons between exempt vs. non-exempt employees and traditional employees vs. independent contractors. The latter issue has been the subject of much debate in recent years, particularly in the Bay Area, as the employment landscape is laden with independent contractor opportunities. Employment law hasn’t often kept up with ever-evolving business models, Cordell added. “Employment law is like turning the Queen Mary around – it’s a little slow catching up,” she said. NEXT UP: "Keeping Your Business Data Safe," November 16, Acqua Hotel, 11am. On a rare rainy evening at the O'Hanlon Center for the Arts, more than 50 members and friends of the Mill Valley Chamber of Commerce turned out in force for a fantastic Mixer featuring tasty treats from co-host Whole Foods Market Mill Valley, excellent raffle prizes from our two hosts, fine wine from Kevin Kearney at Vanguard Properties and great music from Dore Coller Music Page & Bermudagrass. Thanks to all who came out! 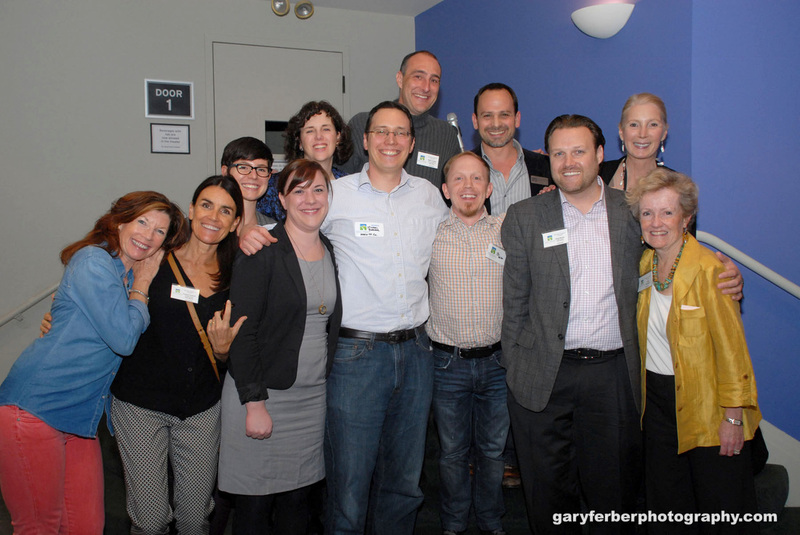 Mill Valley Chamber Mixers are always a blast. But rare is the networking event at which you laugh so hard you nearly cry. For our August 19 Mixer at the Depot Bookstore & Cafe, we invited local legend Rita Abrams to the venerated downtown institution for a short performance, and boy did she make the most of it. First, Abrams treated the crowd to some cheery nostalgia with her classic "Mill Valley" song, which celebrates its 45th Anniversary at a party at the Throckmorton on Aug. 23. Then Abrams had Erika Alstrom and Nan Ayers, two of the stars of her musical "New Wrinkles," perform a painfully funny rendition of the song "Woman in Her Prime." Delicious treats and drinks and excellent raffle prizes followed, and a fantastic time was hgad by all. Thanks to our amazing hosts at the Depot, to everyone who helped make it happen, and to all who joined us! And thanks as always to Gary Ferber for his great photos of the evening. 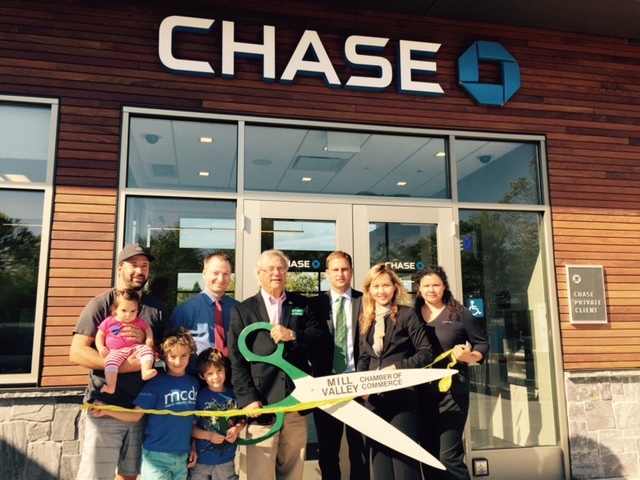 On Tuesday, August 18, Mill Valley Mayor Ken Wachtel joined staff and customers of the new Chase Bank Mill Valley branch at East Blithedale Avenue and Camino Alto for a Grand Opening celebration, including a Ribbon Cutting Ceremony from the Mill Valley Chamber. At an August 10th event co-hosted by the Mill Valley Chamber of Commerce, City officials and consultants revealed the latest timeline for the project. This fall, utility companies such as PG&E, Marin Municipal Water District, AT&T and Comcast will do their own underground work on the road in advance of the City’s work early next year. Scheduling those utilities first will allow the City’s contractor – the project will go out to bid later this year – to move more nimbly without multiple agencies to coordinate, City officials said. In October, the City Council will review a number of major components of the project, including a design proposal, funding strategy and the final design catalog, a list of the project’s components like plantings, streetlights, medians, paving and crosswalk materials and street furnishings like benches, bike racks and trash bins. The project is built around the "Complete Streets" principles of design, addressing safety for pedestrians and bicyclists, providing better transit access and improving motorist safety, all while retaining and enhancing Miller Avenue’s current character. It provides continuous bike lanes, improves sidewalks, enhances crosswalks and also repairs pavement, storm drains, and sanitary sewers along Miller Avenue. The August 10 forum was designed to inform Miller Avenue business owners about the timeline and the plan to phase the project to minimize the impact on those businesses. It also gave business owners a chance to speak directly with project engineers about their needs in terms of parking and access during the proposed construction schedule. “This meeting tonight is about getting down to brass tacks,” said John Gibbs of Wallace Roberts and Todd, the City’s consultants on the project. Stevens outlined the schedule of the project and how it would be phased to minimize impact on businesses, particularly in the “Main Street” section between Willow and Reed streets where the bulk of the area’s businesses are located. Stevens said the work within Main Street would start on the outside edges of the street and its sidewalks, initially eliminating the parking in the medians to allow for space for one inbound and outbound lane of travel while the normal travel lanes are being reconstructed. Workers would then shift their attention to rebuilding the medians, and that one lane of traffic would be maintained throughout the three-week-long reconstruction of the Main Street section in the middle of the summer 2016. “We want to complete most disruptive work during summer when schools are out of session,” Stevens said. Stevens said that access would be maintained to each business and that there would be signage promoting that businesses remain open during the road’s reconstruction. He added that his firm was in the midst of creating a “parking management strategy” that included identifying possible sources of off-street parking to be used while on-street parking is reduced. He said the City was open to any and all suggestions for how best to manage the temporary loss of street parking during reconstruction. The Miller Avenue Streetscape Project has a long history. Go here for comprehensive info on the plan: http://tinyurl.com/kcplmak. Email question and concerns to project organizers here. The inaugural Engage Mill Valley: Where Do I Plug In? 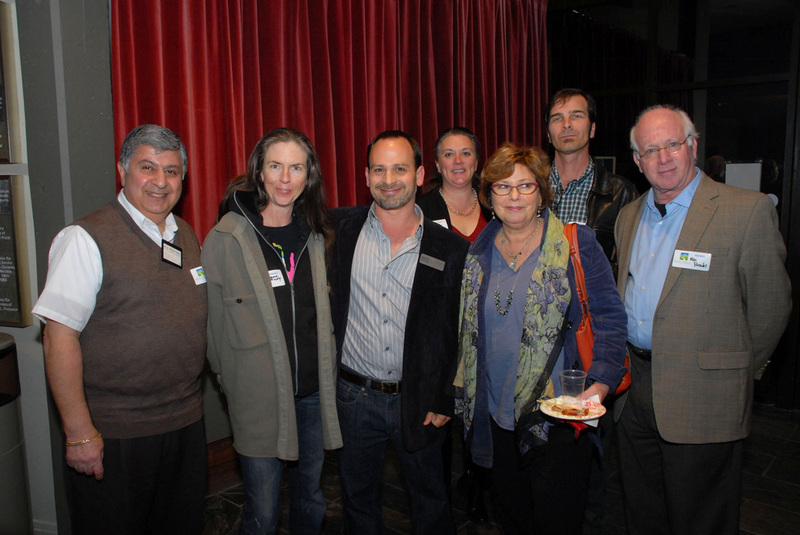 event was tightly constructed by the Mill Valley Chamber of Commerce and the City of Mill Valley to inform and inspire people to become more involved in some aspect of Mill Valley. But the critical factor in filling the room on a Wednesday evening that featured a Golden State Warriors playoff game was simple: gather a dynamite panel of local leaders with diverse experiences and plenty of wisdom and encouragement to share. FULL STORY. 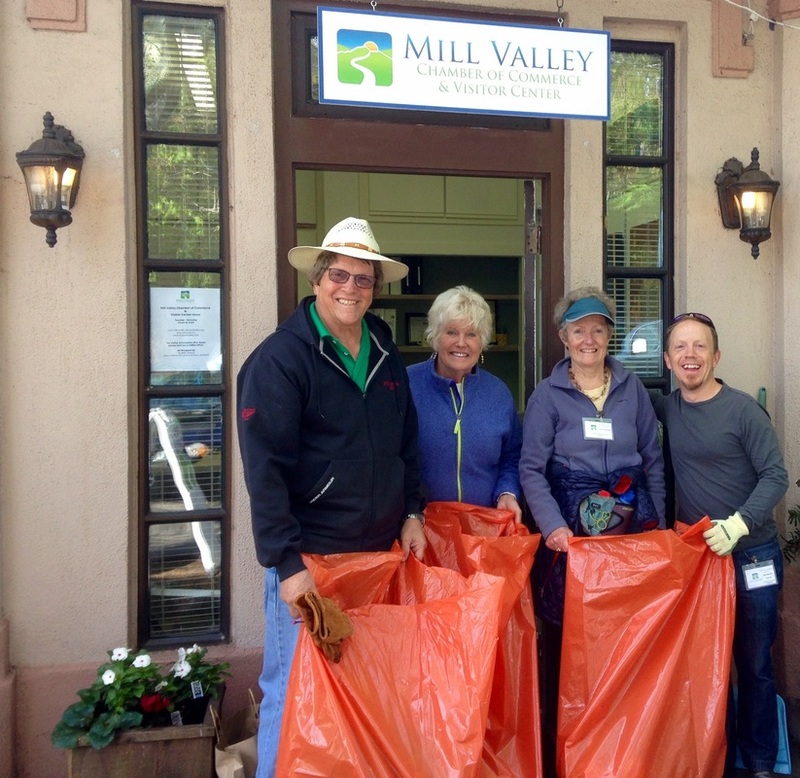 That's what a small group of volunteers from the Mill Valley Chamber of Commerce​ picked up off the streets and sidewalks of downtown Mill Valley on April 25 as part of the City of Mill Valley and Mill Valley Recreation's annual Beautification Day. With dozens of volunteers turning out to clean up at Boyle and Freeman parks for the City's "It's MY Park Day," the Chamber volunteers focused on downtown. Full story. 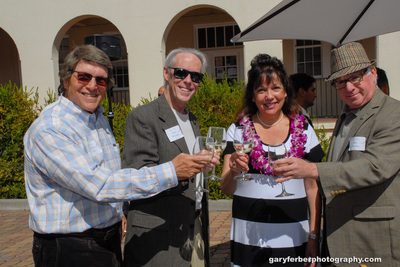 One of our major goals at the Mill Valley Chamber is draw on our greatest strength by connecting our members to one another and the broader community. We did that in spades at our April 22 Mixer at The Image Flow. In a collaboration with the Kiddo! Business Partner Program and the Student Art Show – with delicious treats from Sol Food and vintage glassware and dishes from KatyBirds – the Mixer went beyond the usual rubbing elbows and informal networking. For the first time, we gave each of you a chance to introduce yourselves to the larger group, and the results were fantastic! THANK YOU to our co-hosts and partners and all of you who came out and got to know one another better. To those of you who weren't able to make it, our Chamber Mixers are becoming can't miss events. 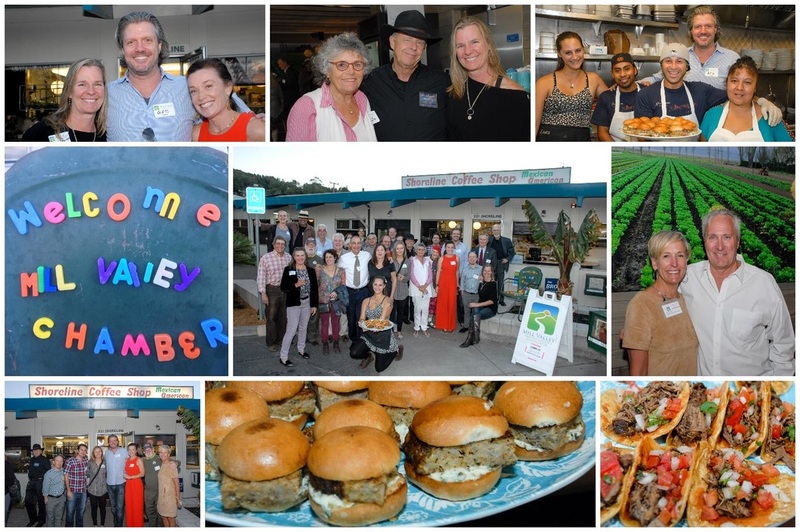 Our next one, our Sunnyside Soiree – a mini block party celebration of our Chamber businesses on Sunnyside Ave. – is on June 17 in the Bank of Marin-Zener Schon Contemporary Art parking lot. 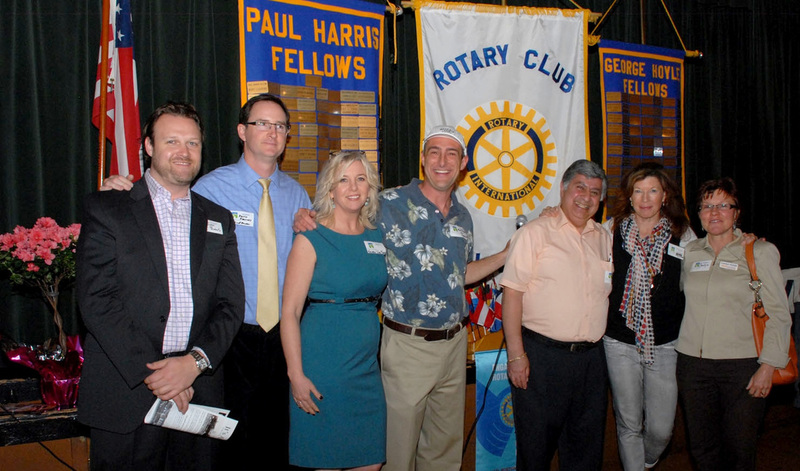 Thanks as always to Gary Ferber for the great photos of the April Mixer – click here to see them. And click here for the list of all of our 2015 events. The newest jewelry shop on the block celebrated its arrival on Sunday, March 29. Julie Tuton Boutique opened in the 73 Throckmorton Ave. space formerly occupied by Yum Chocolates in late February after relocating from Tiburon's Ark Row. Tuton, who has been designing jewelry for more than 25 years, says she loves the location in the heart of downtown. Tuton and life and business partner Kirk Dye hosted a Grand Opening, with delicious food from Life's a Cafe Catering and a Ribbon Cutting from the Mill Valley Chamber. Thanks to all who came out to celebrate! 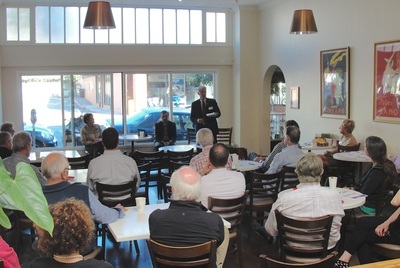 That was the word from a pair of local bank officials told members of the Mill Valley and San Rafael Chambers at a Content & Coffee event on March 27 at the Renaissance Entrepreneurship Center. March is often the make-or-break month for New Year's Resolutions. If you don't stay motivated in March, you might squander your New Year's momentum. Lucky for Mill Valley Chamber members and their guests, two of the most motivating and inspiring local business owners – Ultimate Fitness owner Sara Ellis and Internal Fire Pilates owner Sharon Gallagher-Rivera – co-hosted our March 18 Mixer. Featuring delicious food from Tamalpie Pizzeria, the event inspired many to try a new fitness regimen at the two-in-one space at 457 Miller Avenue. Thanks to all who came out, and a huge thanks as always to Gary Ferber for the great photos of the evening –click here to see them. And click here for the list of all of our 2015 events. Wow, that was fun. 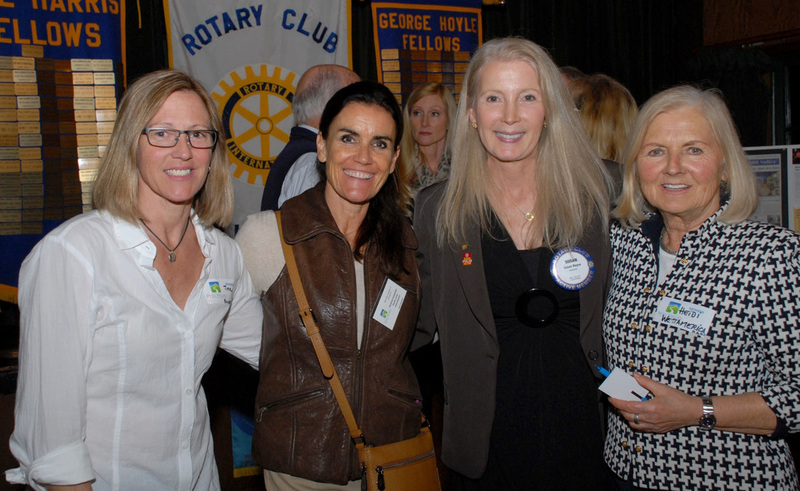 With a fantastic spread of homemade treats, great beer and wine and some beautiful raffle prizes, Chamber Members and Rotarians came out in droves for our February 18 Mixer hosted by the Rotary Club of Mill Valley. The turnout and the warm, inviting space of the Mill Valley Golf Course Clubhouse made for an amity-filled evening. Thanks to everyone who came out! Click here for loads of photos from Gary Ferber Photography. And now onto the next one: March 18 at Ultimate Fitness and Internal Fire Pilates, with excellent food from Tamalpie Pizza. 5:30–7pm, 457 Miller Avenue. See you then, and click here for the list of our 2015 events. A Fantastic Mixer @ Ferrari! Our first Mixer of 2015 was one of our biggest yet, as members from all over the 94941 and beyond turned out to Ferrari of San Francisco for some fantastic food from neighboring Piatti Ristorante and to gawk at some of the most impressive sports cars on Earth. Thanks to Ferrari for being gracious hosts and for providing cool raffle prizes, Piatti for the tasty treats and to all of you who came out. Congrats to Joseph Smith's Simply Inspired Spa & Gift Center owner Susan Berke, who won a cool gift basket from Patti's Baskets for being first non-member to join the Chamber at the event! We'll be doing that at every Mixer in 2015. Click here to see some excellent photos of the evening from Gary Ferber Photography. 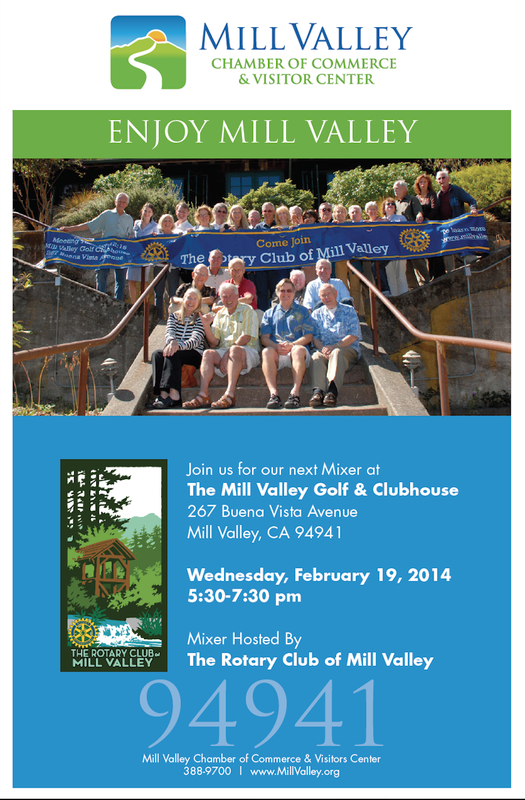 Join us on February 18 (5:30–7pm) for our next Chamber Mixer, at the Mill Valley Golf Course Clubhouse, hosted by the Rotary Club of Mill Valley. See you then! Our final Mixer of 2014 – the Holiday Party & Annual Meeting – took place at the beautifully decorated Outdoor Art Club on Wednesday, December 17. Featuring delicious food from Pizza Antica and Beth's Community Kitchen and some fantastic raffle prizes, as well as the Chamber's 2014 Year in Review, it was a fantastic way to cap a great 2014. Thanks to Gary Ferber for some excellent photos of the evening. Dozens of Mill Valley Chamber members and friends braved a wet Wednesday evening for our Nov. 19 Mixer, this time at Bank of Marin and the new Zener Schon Contemporary Art gallery at 19 and 23 Sunnyside Ave. Attendees found amazing food from the likes of Alta Cuisine and Prabh Indian Kitchen, tasty beverages from Beerworks, great wine and drinks and quite possibly our best array of raffle prizes of the year. Photos by Gary Ferber Photography. Our friends at Pizza Antica Mill Valley and Woodlands Pet Food & Treats co-hosted the Mill Valley Chamber of Commerce's pet-friendly Oct. 15 Mixer. The crowd was treated to fantastic food, great drinks and some amazing raffle prizes. Congrats to the prize winners, especially Lee Mokri of 180Eats, who took home the grand prize by being the first new member to join the Chamber during the Mixer. Photos by Gary Ferber Photography. Click here for all the photos of the evening. Thanks to all who came out! Next Up: Our Nov. 19 Mixer is being co-hosted by Bank of Marin and the new Zener Schon Contemporary Art gallery at 19 and 23 Sunnyside Avenue, 5:30–7pm. See you then! Click here for the full story on the Enjoy Mill Valley Blog. The Spirit of Marin Awards, hosted each year by Bank of Marin, celebrates the achievements of local businesses and individuals as chosen by the Marin County Chambers of Commerce. This year’s honorees include Lisa Walsmith of All Wrapped Up, the Mill Valley Chamber of Commerce’s 2014 Business of the Year. 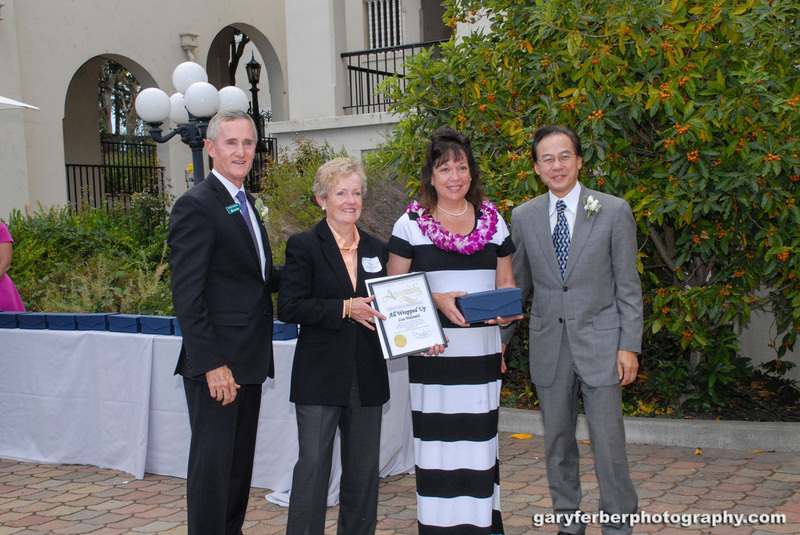 Walsmith and her business were honored at a Sept. 26 luncheon and ceremony. Congrats Lisa! The one and only Tony Tutto Pizza hosted the Mill Valley Chamber of Commerce's September 17 Mixer, and boy what a delight. The great Noah Griffin dazzled the crowd with renditions of "That's Amore" and "Volare," Headlands Brewing Company kept everyone's palates wet with great beer, and Tony and his great team took care of the rest. Thanks to our Chamber Ambassadors and all of you who came out! Click here for Gary Ferber's great photos of the evening, and we hope to see you at our Oct. 15 in Strawberry Village, co-hosted by Woodlands Pet Food & Treats and Pizza Antica. And go here to see our full calendar of upcoming events. In the coming weeks, the Mill Valley Planning Commission is set to hear a proposed ordinance that would prohibit professional and administrative offices, including real estate offices, in all storefront spaces downtown with a zoning classification of CN, Neighborhood Commercial AND a General Plan Land Use Designation DC, Downtown Commercial (areas highlighted in dark orange/red on Land Use map above). The goal of the proposal, which comes on the heels of an "urgency interim" ban on storefront offices spaces imposed by the City Council from February 2011 to February 2013, seeks to keep downtown "as a vibrant, walkable retail area" and to address "the concern that ground floor office uses could have a detrimental effect on maintaining the active, primarily retail character of downtown." The Mill Valley Chamber seeks its members' opinions about this proposal, and held a "Content & Coffee" forum on Sept. 9 to both inform and engage members. 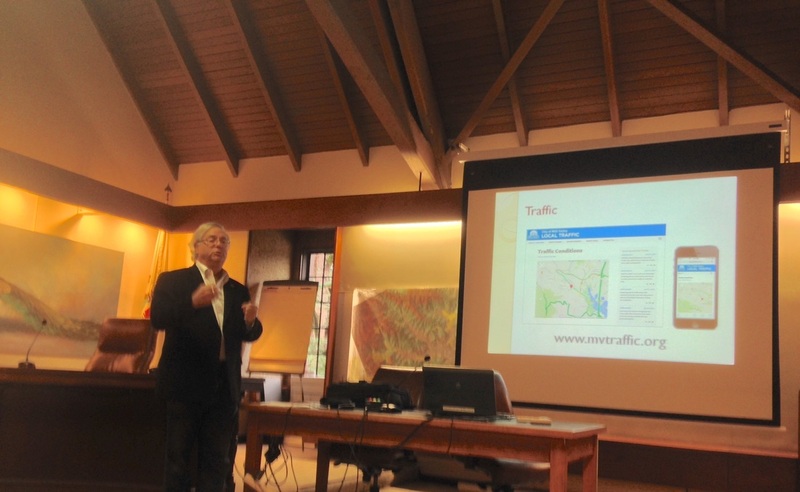 The event featured City of Mill Valley Planning Director Vin Smith and San Francisco Chamber of Commerce Senior Vice President for Public Policy Jim Lazarus, with the goal of explaining the proposed ordinance and possibly identifying potential alternatives to it. 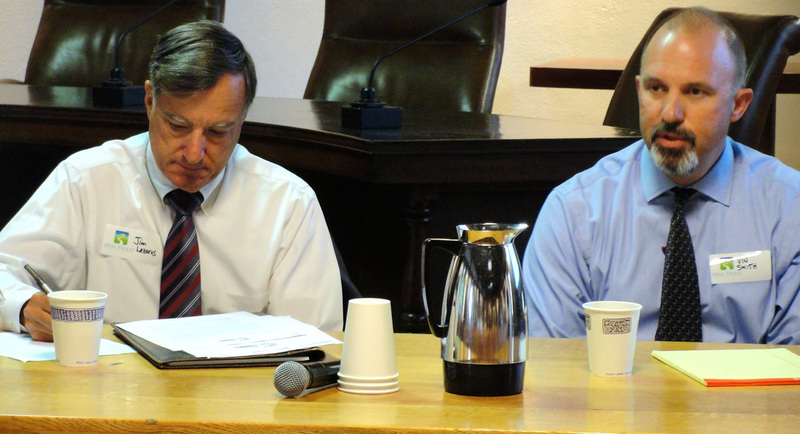 Smith, who became the Interim Planning Director in March and removed the "interim" tag late last month, described the issue historically as he understood that led to his crafting of the proposed ordinance. He said revisiting the urgency ordinance came up because of recent applications to move offices into former retail space downtown. "I believe I'm charged with implementing the General Plan, which says that the downtown should be an active, vibrant retail environment," Smith said. Lazarus said San Francisco's legislators have spent considerable time in recent years focusing on regulating "formula" or "chain" businesses, neighborhood by neighborhood. He cautioned against regulating certain uses as a way to suppress competition between new and existing businesses. "Always be careful of unintended consequences," he said. A number of "Content & Coffee" attendees chimed in as well, with downtown property owner Mike Walsh seeking to draw a distinction between uses in streetfront spaces and those spaces in the backs of buildings. "Offices create dead zones in the streetscape, but it's important that spaces in the backs of building don't sit empty," he said. Kristi Denton Cohen, who owns the building at 30 Miller that currently contains Terrestra, said she once opposed offices uses in storefront spaces, but having had a storefront space sit vacant for a while, "that can change your thinking. The question is how to incorporate fluidity in the process." Smith said the City was entirely open to alternative proposals and wasn't married to the proposed prohibition. Alternatives could include requiring a conditional use permit (CUP) for all applications to locate an office in a downtown storefront space, regardless of the size of the space. Chamber Board Chair Paula Reynolds suggested a middle ground was possible. "Let's find those interim measures that probably best reflect the diversity of interests in our community," she said. 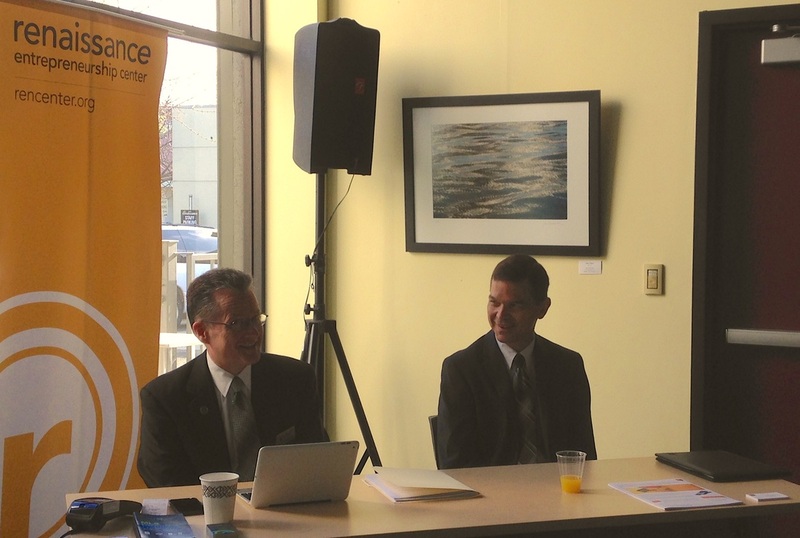 This "Content & Coffee" event is the latest in the Chamber's fantastic calendar of events through the end of 2014. Click here for the full list. We're still catching our breath from one of our best Mixers of the year, thanks to our incredible hosts at Equator Coffees & Teas and Proof Lab and the dozens of people who came out for some delicious food, great coffee (obviously) and very cool raffle prizes. 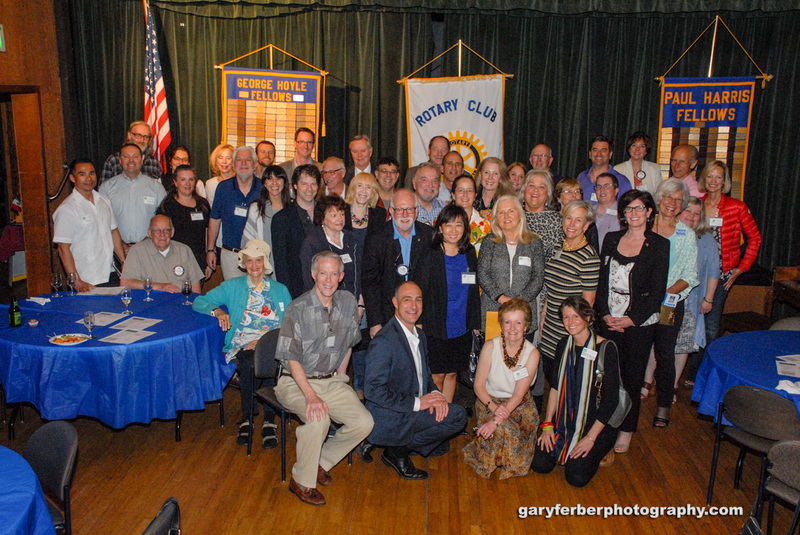 Click here and here for some great photos of the event courtesy Gary Ferber Photography. But we have another Mixer right around the corner, this hosted by the one and only Tony Tutto Pizza at 246 East Blithedale Ave., 5:30–7pm. Put it on your calendar now! TypeA+, a new typing school in the Tam Junction shopping center that contains Mathnasium and the San Francisco Running Company, held a Grand Opening Celebration, including a Ribbon Cutting Ceremony with the Mill Valley Chamber of Commerce. Thanks to TypeA+ Barbara Schmidt for hosting us! And click here for the full story on TypeA+. Wow, that was a blast. First off, thanks to Helen Russell of Equator Coffees & Teas, Harley Pearlman of Proof Lab and their respective teams for being such great hosts of our August 20 Mixer and for serving up such delicious food and excellent raffle prizes. The hub of Tam Junction was the place to be, so thanks to all who turned out for the event – it was one of best of the year! Hope to see you at our Sept. 17 Mixer at Tony Tutto Pizza, 246 East Blithedale Ave., 5:30–7pm! The Mill Valley Lumber Yard, one of the 94941's most beautiful and historically important properties, is hosting our June 18 Mixer, with three of the most unique retailers in town serving as co-hosts. We're thrilled to give our members and friends a chance to check out Ambatalia, Bloomingayles and Guideboat Co., and the Lumber Yard as a whole – and for yet another opportunity to get our fantastic group of Mill Valley Chamber members in one place together! Join us Wednesday, June 18 from 5:30 to 7 p.m. at the Mill Valley Lumber Yard, 129 Miller Ave., for an evening of excellent food, refreshing beverages and raffle prizes from our hosts. Most importantly, come catch up with your fellow local business owners and seize the chance to meet a prospective customer or friend! Thanks to our amazing hosts at MilVali Salon, excellent food from Dinner to Your Door, our fantastic group of Chamber Ambassadors and the many of you who turned out Wednesday night, our May Chamber Mixer was a huge success. Click here for more photos from the event. And join us on June 18 from 5:30–7 p.m. for our next Mixer, this time at the Miller Valley Lumber Yard, with Ambatalia, Bloomingayles, Guideboat Co. and the Lumber Yard itself serving as our hosts. See you then! 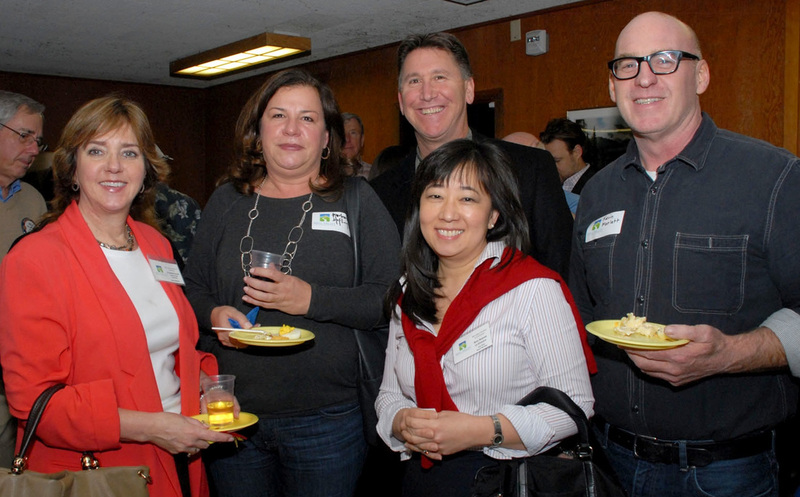 The Mill Valley Chamber's March 19 Mixer was a huge success, and we're excited for our next chance to get our great group of members in a room together. That opportunity arrives soon with our April 9 mixer, a joint venture with the Corte Madera Chamber of Commerce at Marin Luxury Carsat 195 Casa Buena in Corte Madera, from 5:30 p.m. to 7 p.m.
Marin Luxury Cars GM Nick Price invites you to take a spin in a Jaguar F-Type Convertible, ride over the rocks in a Range Rover and Watch the amazing Volvo V60 conquer parallel parking. Enter to win a two-day drive in a Jaguar or Volvo. All attendees will receive a coupon for a complimentary car wash. See you on April 9! To celebrate the first year of her store Weathered Nest at 31 Sunnyside Ave. (Suite 3), Claudia Sutton is holding a One-Year Anniversary Party, complete with a Mill Valley Chamber of Commerce Ribbon-Cutting Ceremony, on Tuesday, April 1 from 5 p.m. to 8 p.m. The event coincides with the First Tuesday Artwalk and features wine and hors d’oeuvres and discounts throughout the week. Join us at 6 p.m. for the ribbon-cutting! Sprout San Francisco, an eco-friendly baby product retailer that opened a store at 12 Miller Ave. in downtown Mill Valley last month, held a day-long Grand Opening party on March 22. 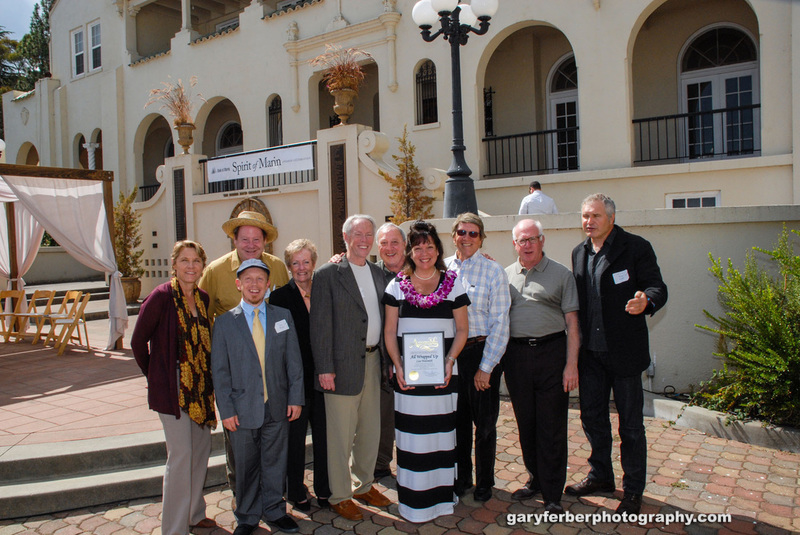 The event kicked off with a MV Chamber Ribbon Cutting Ceremony. Thanks to all who attended, particularly Mayor Stephanie Moulton-Peters and Chamber Board Member Clifford Waldeck. Click here for photos. 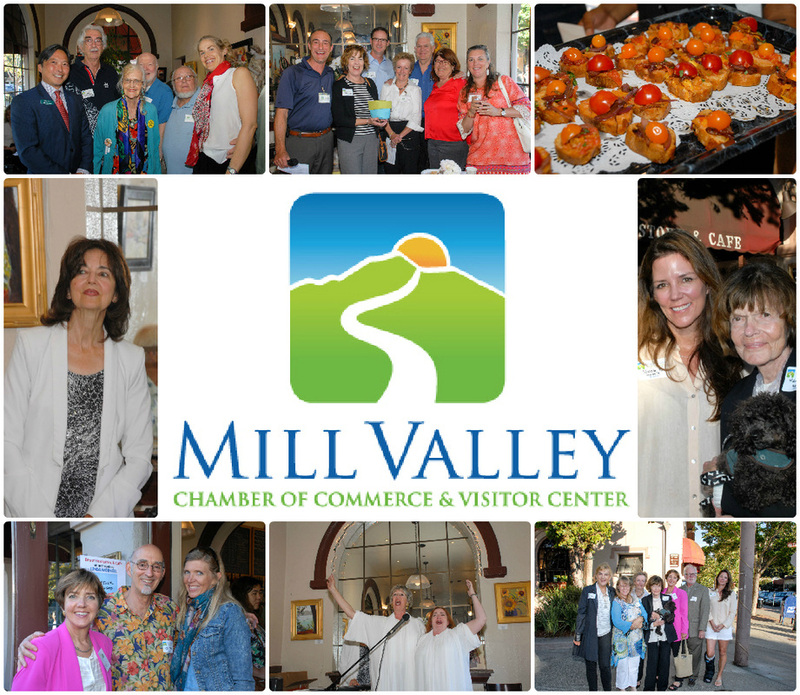 The Mill Valley Chamber's March 19 Mixer was a huge success! Thanks to our fantastic hosts at Endurance Performance Training Center, great food from Whole Foods and wine from Courtney Benham & Martin Ray, it was a fantastic event. Many thanks go to our Chamber Ambassadors for giving our mixers a shot of adrenaline, and forGary Ferber Photography for documenting the evening! Click here and here for more photos of the Mixer, and please join us on Wednesday, April 9 at Marin Luxury Cars (185 Casa Buena) in Corte Madera for a joint mixer with the Corte Madera Chamber of Commerce from 5:30 p.m. to 7 p.m. Please join us for our March 2014 mixer! Details below. All photos courtesy of Gary Ferber Photography.